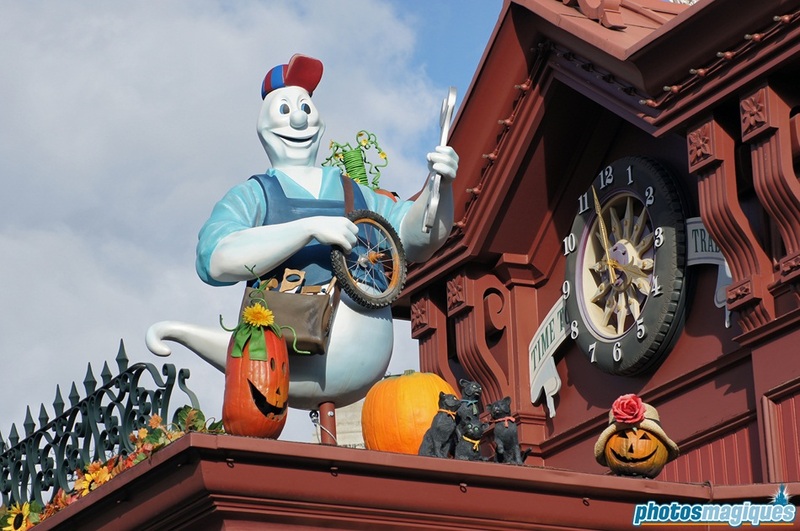 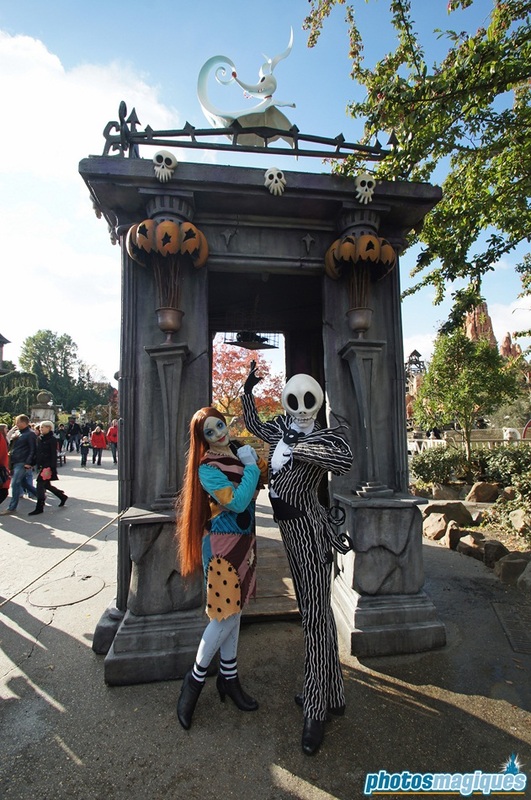 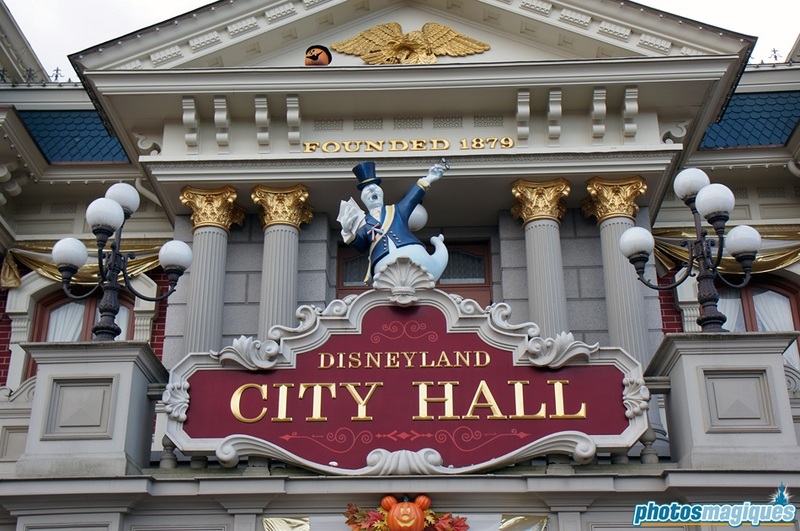 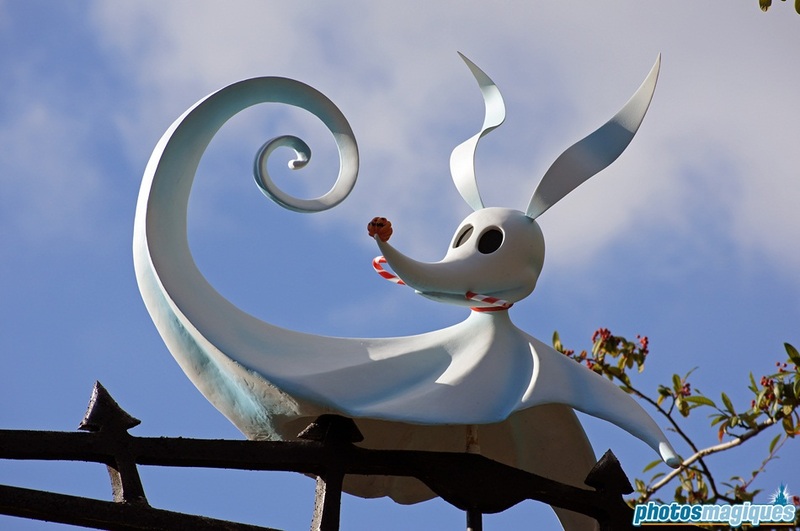 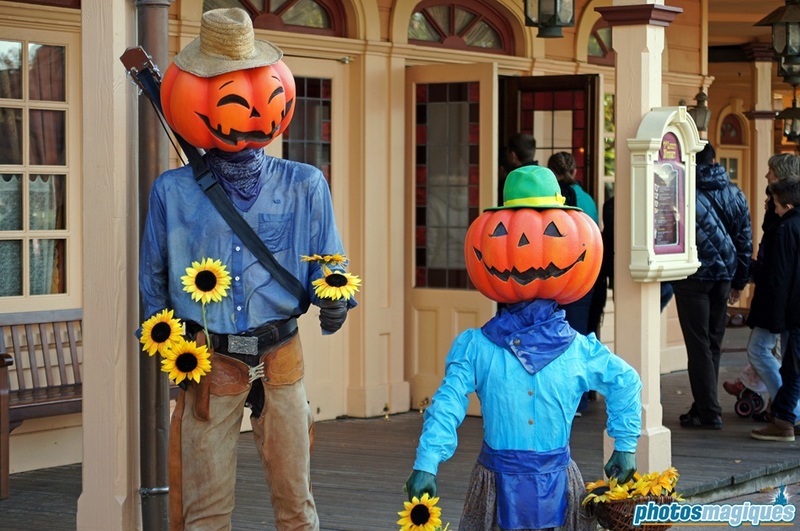 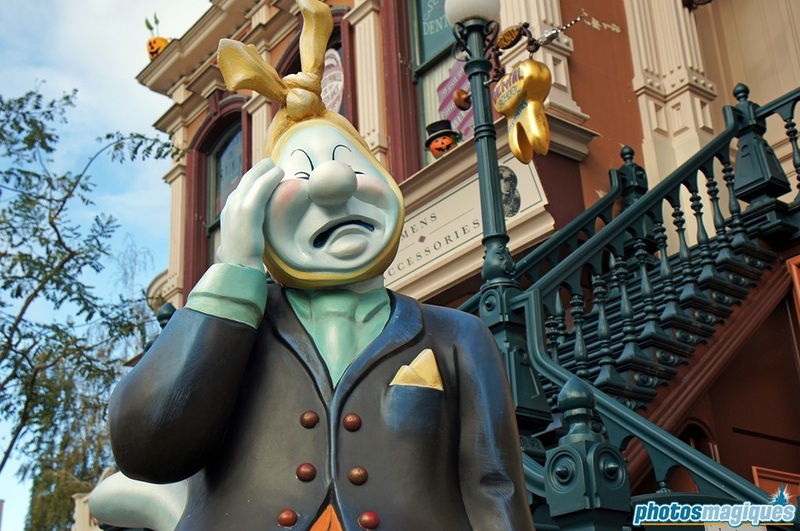 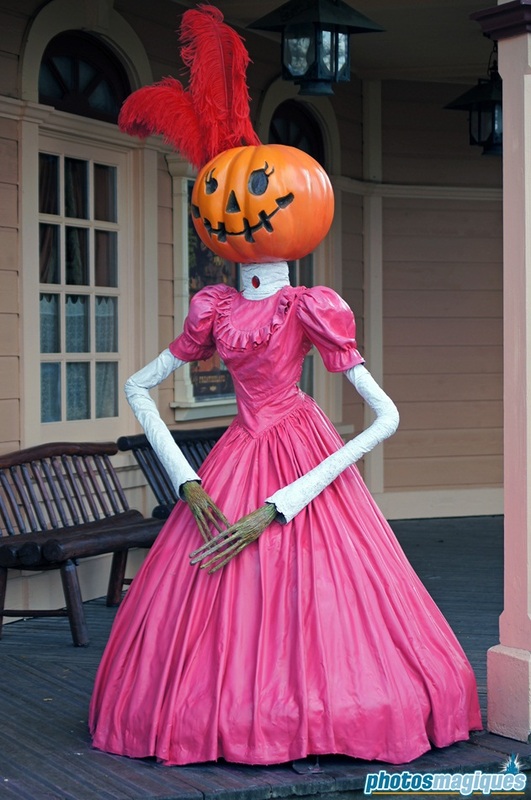 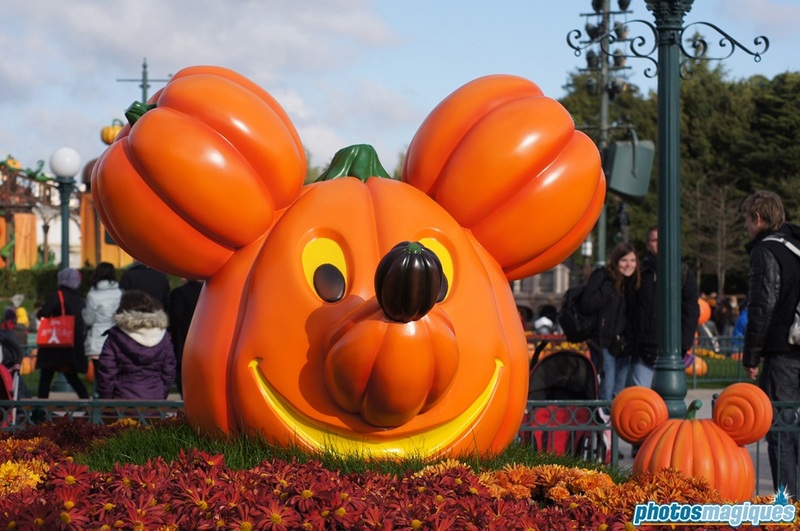 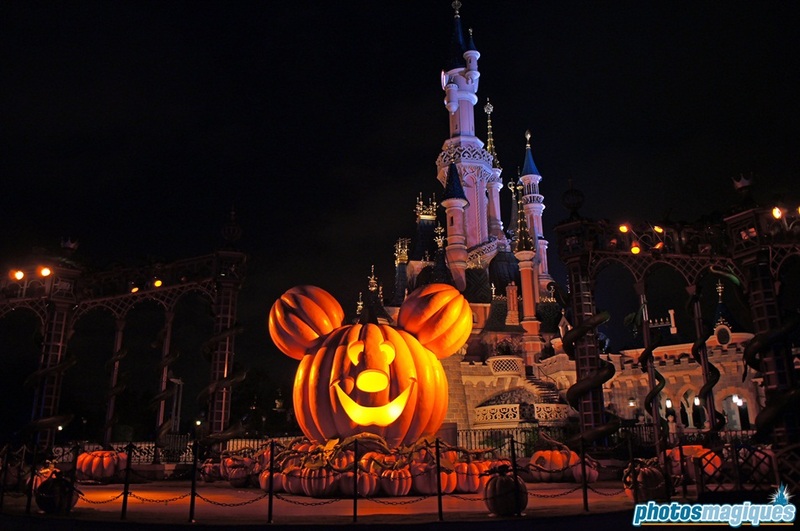 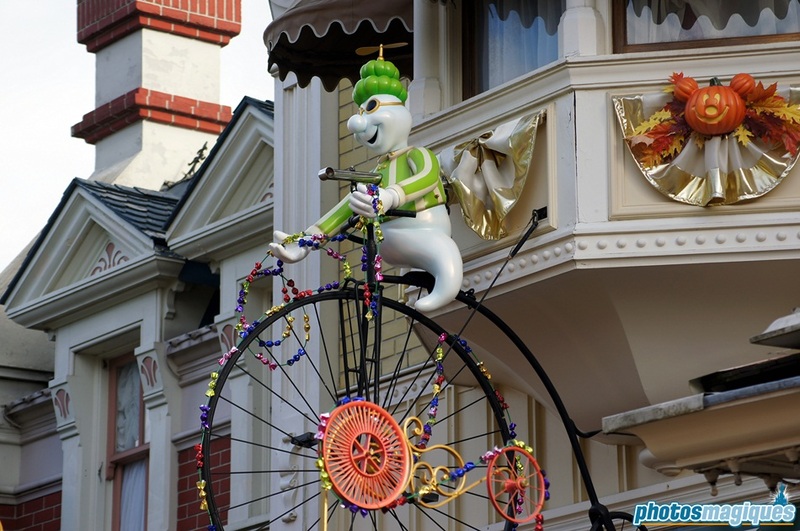 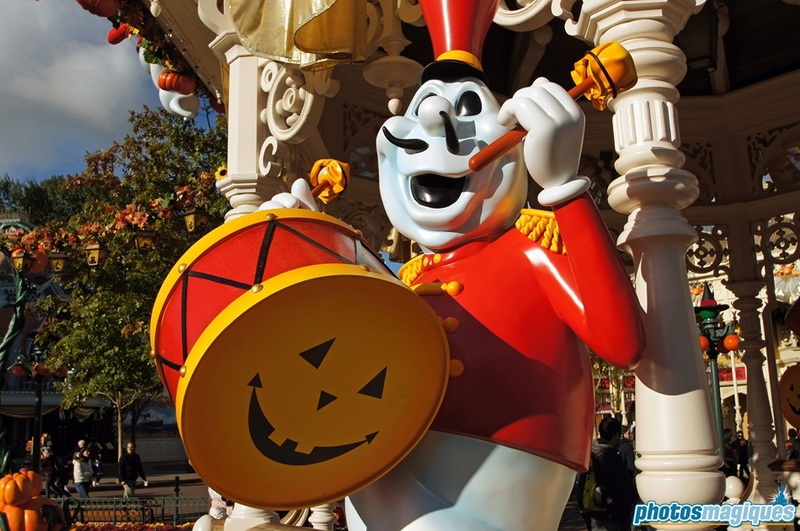 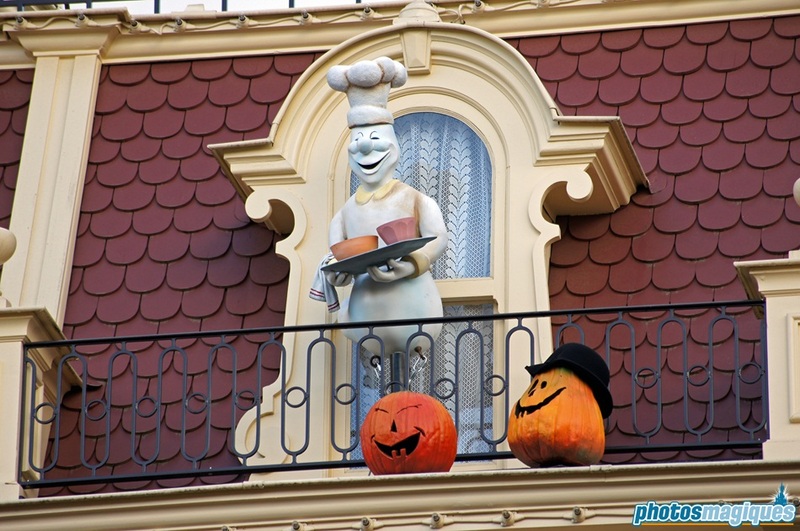 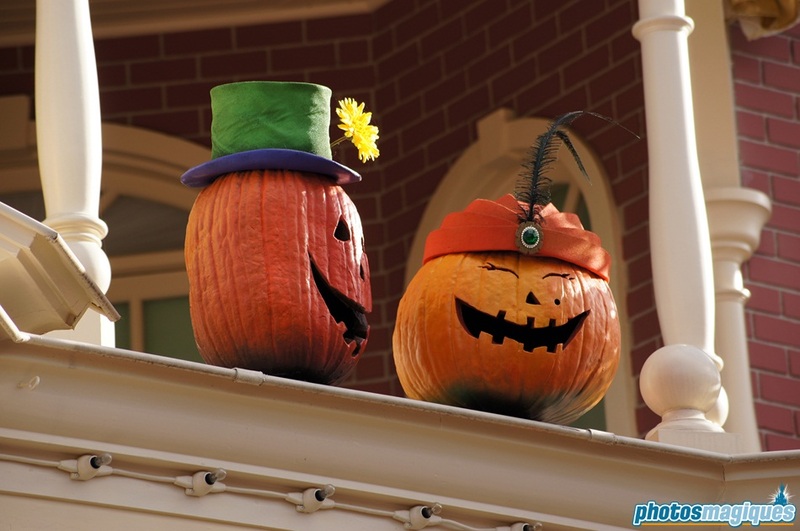 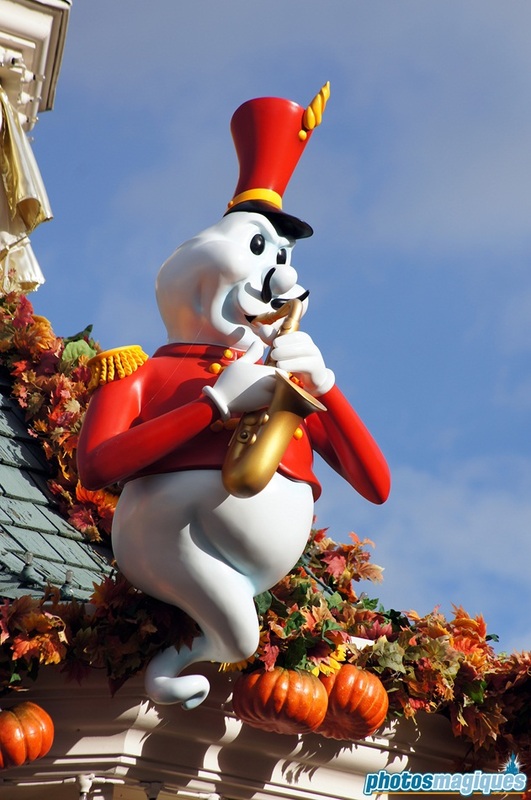 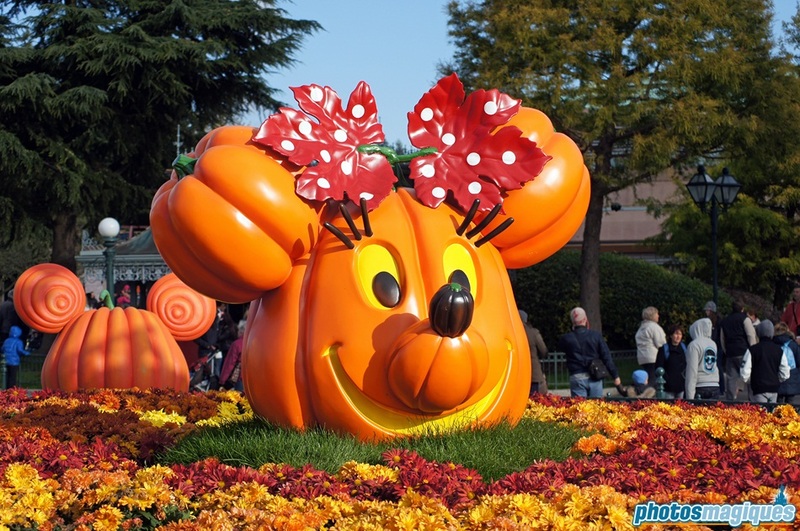 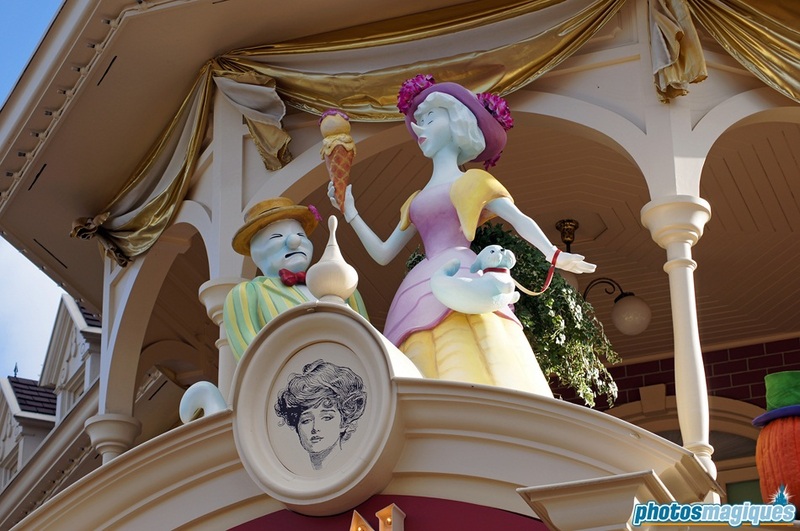 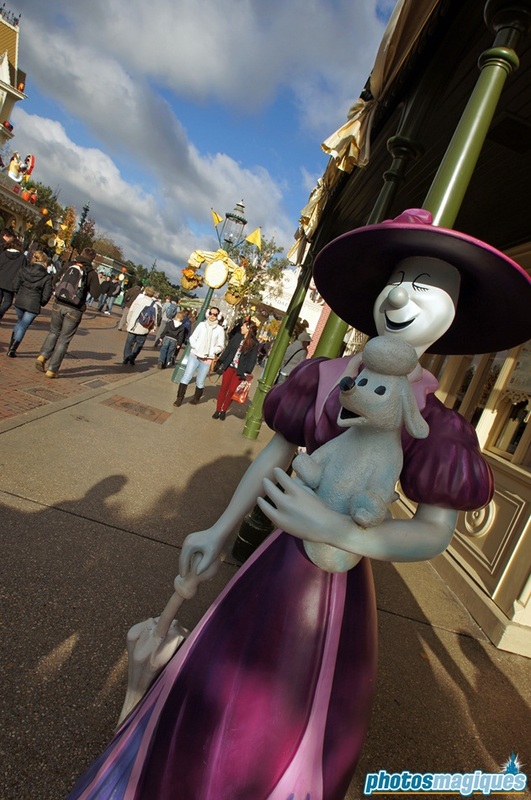 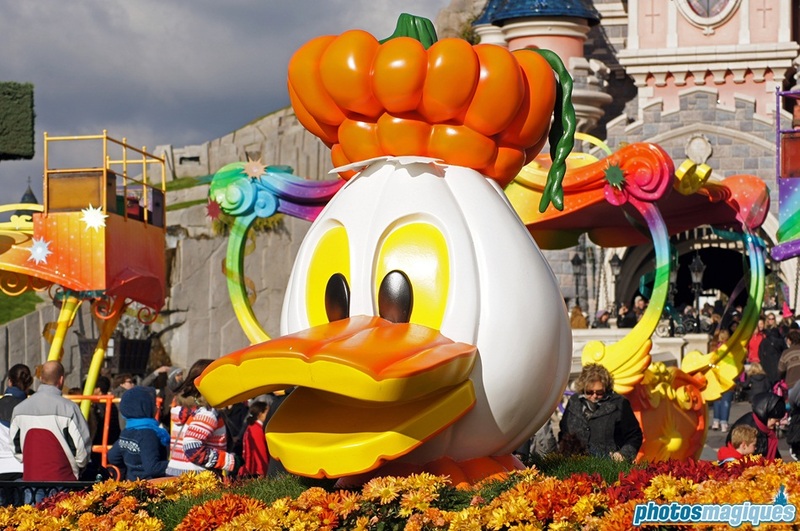 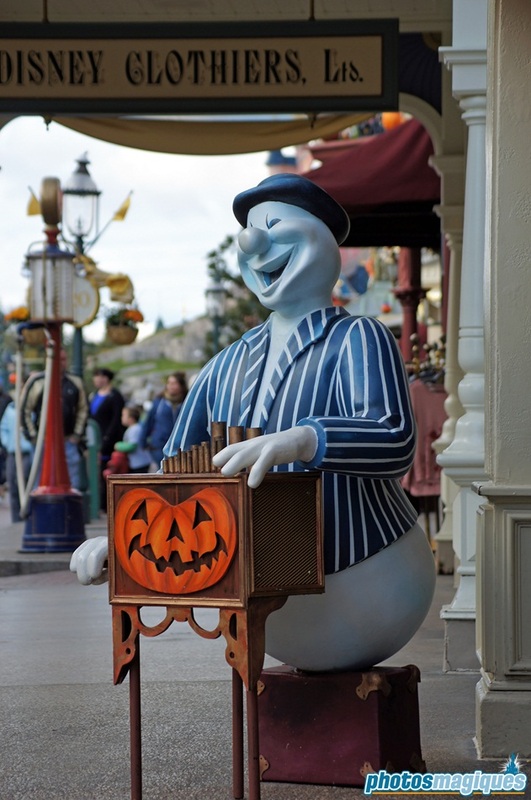 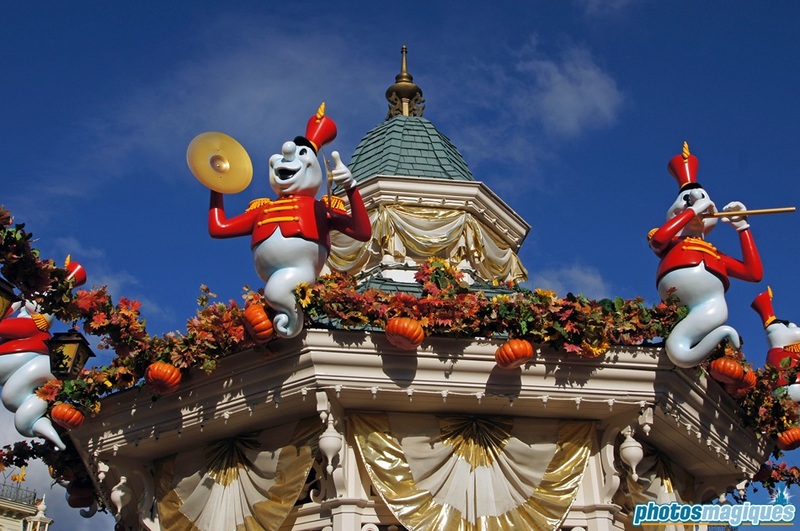 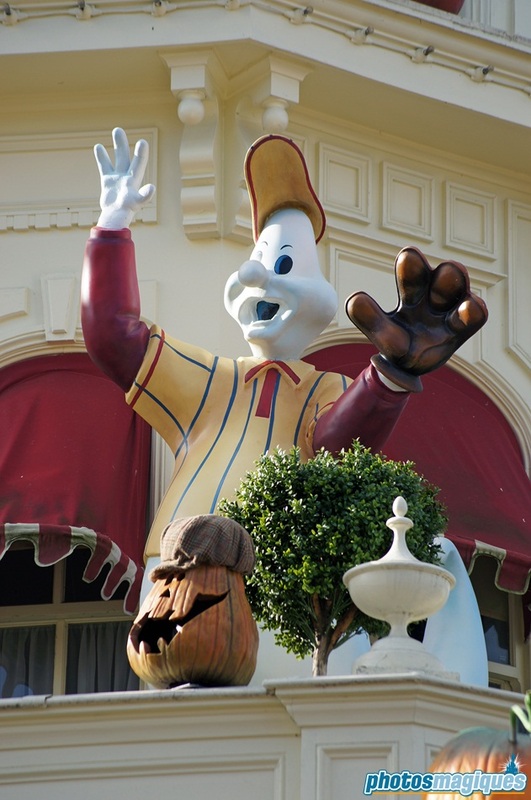 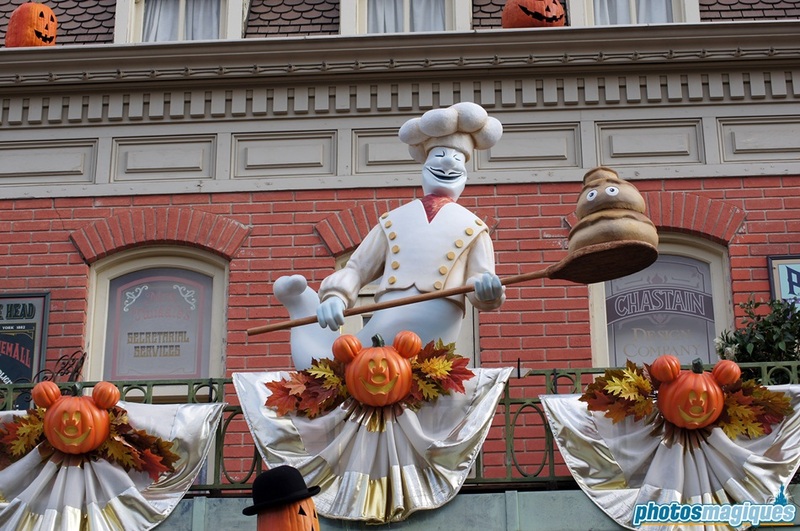 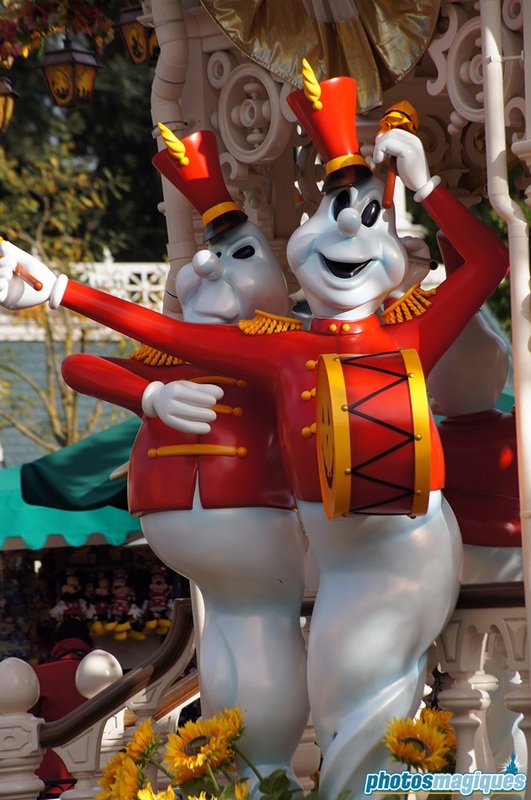 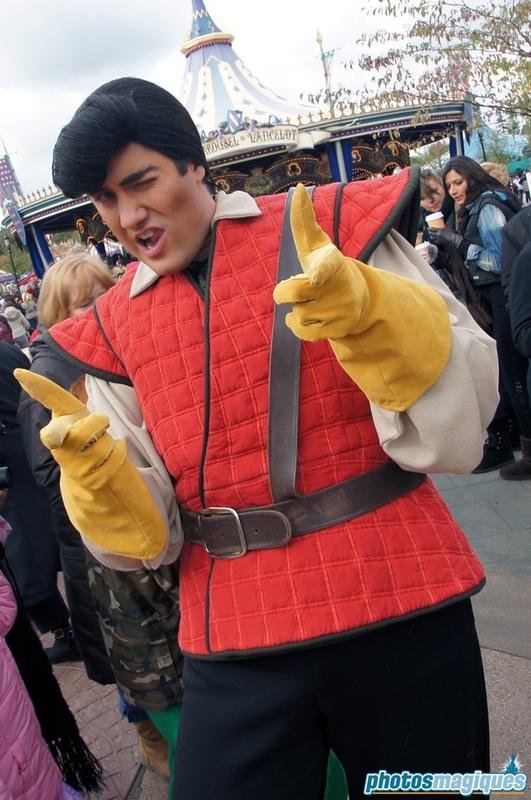 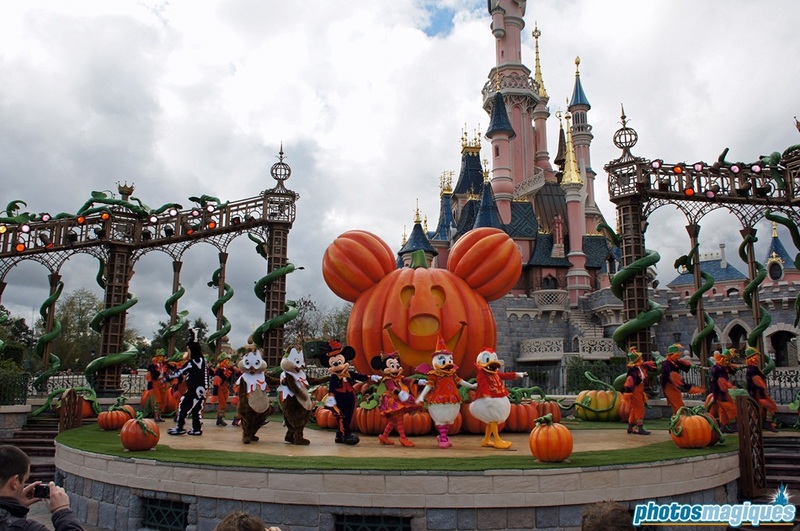 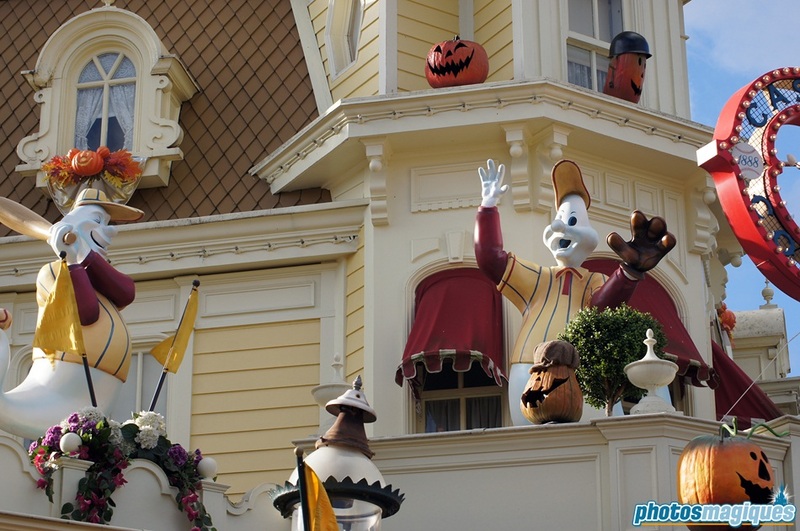 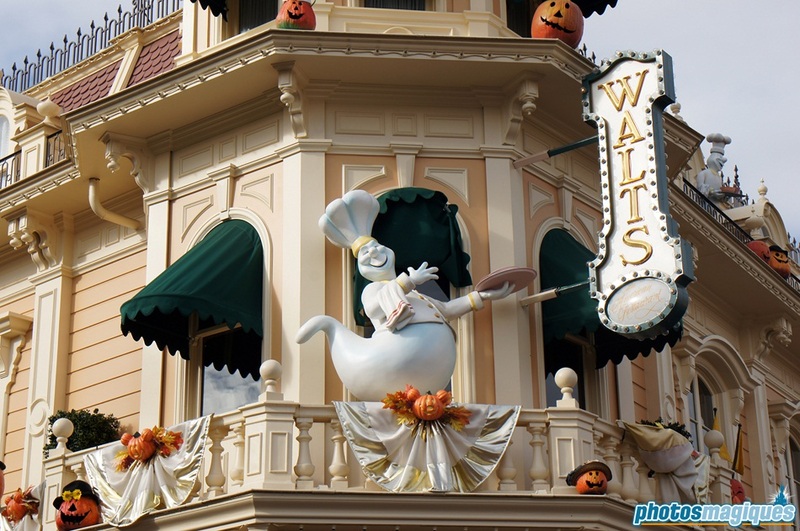 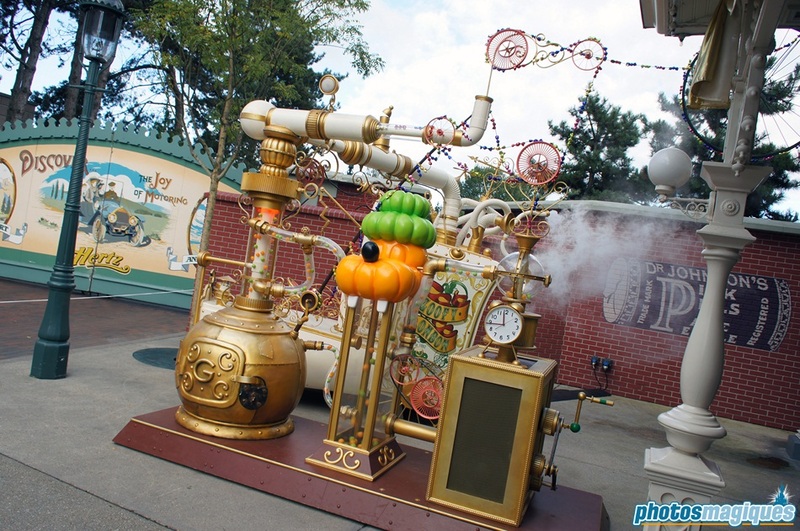 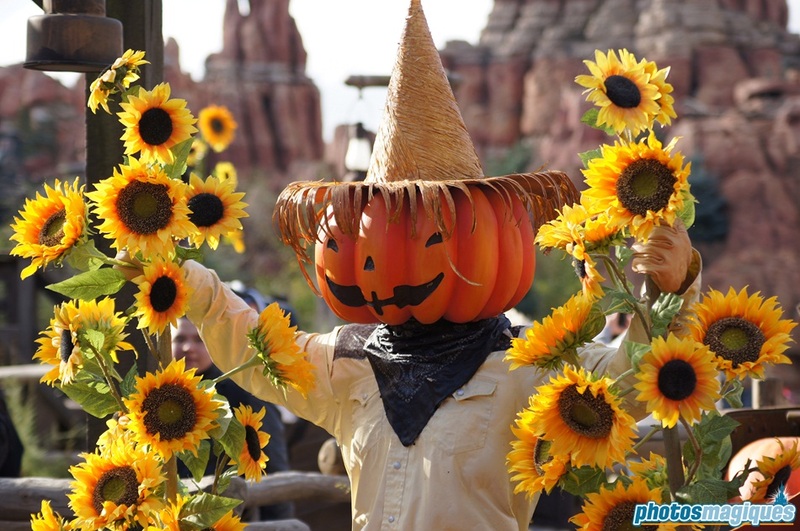 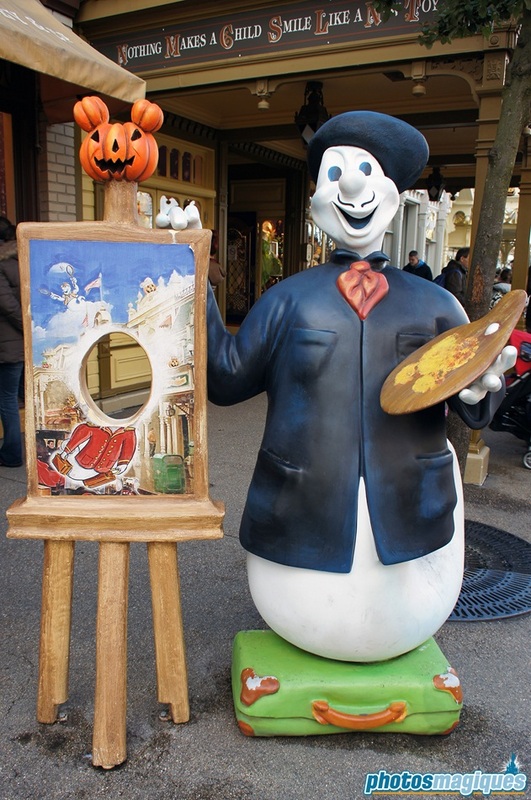 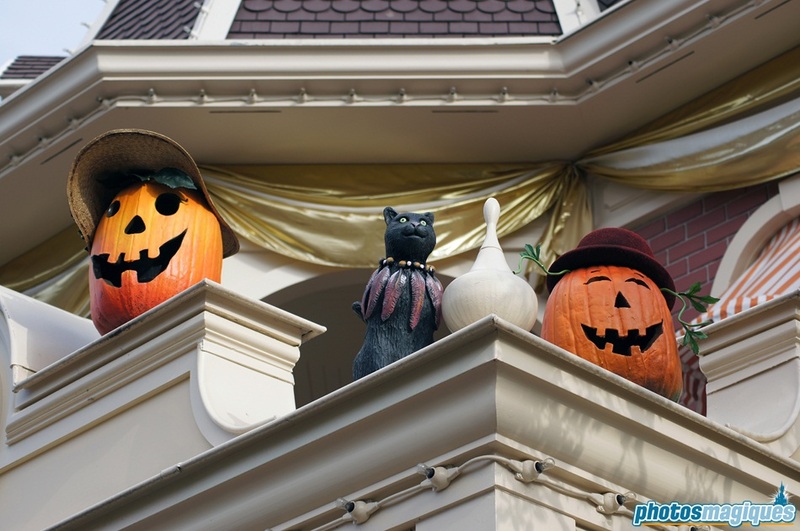 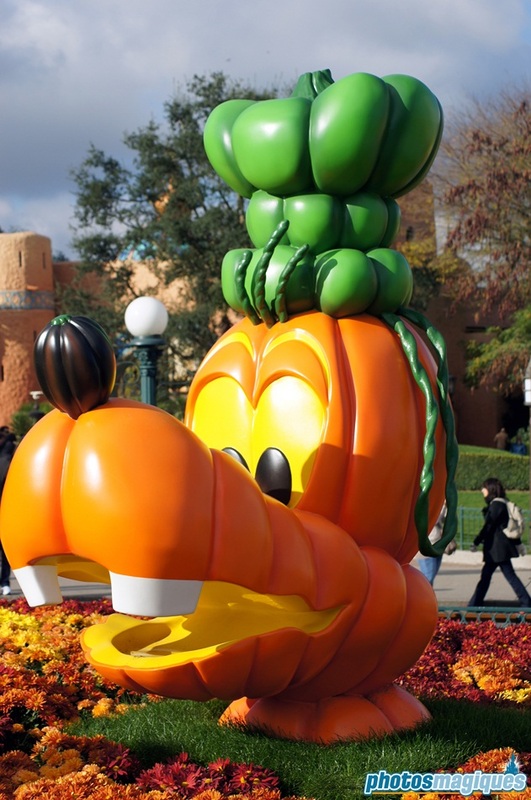 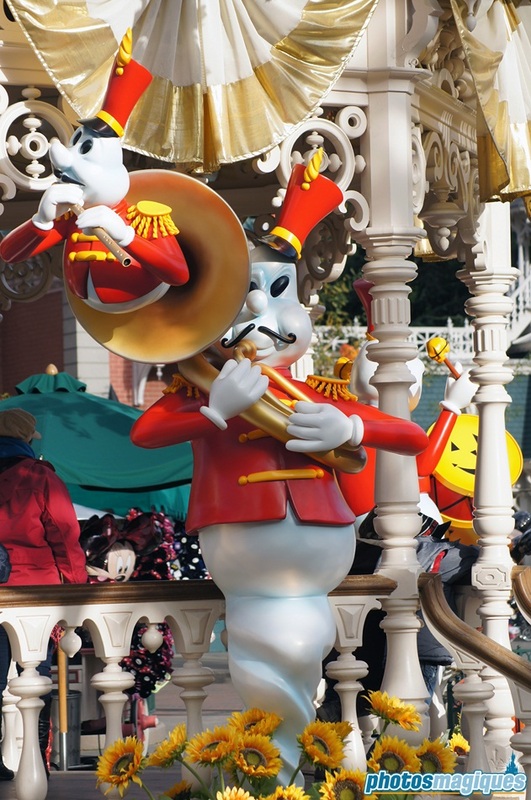 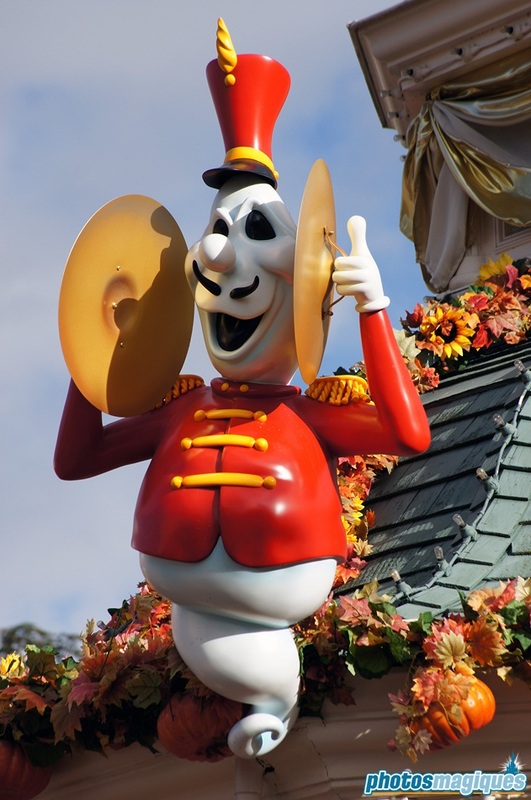 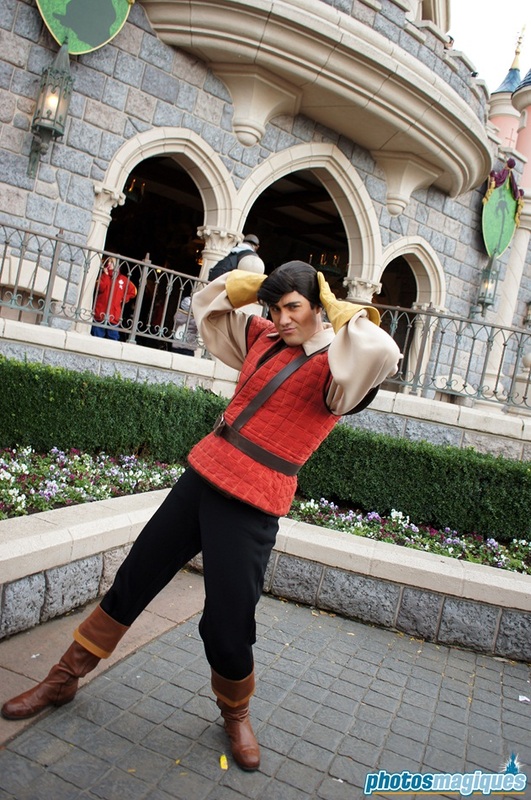 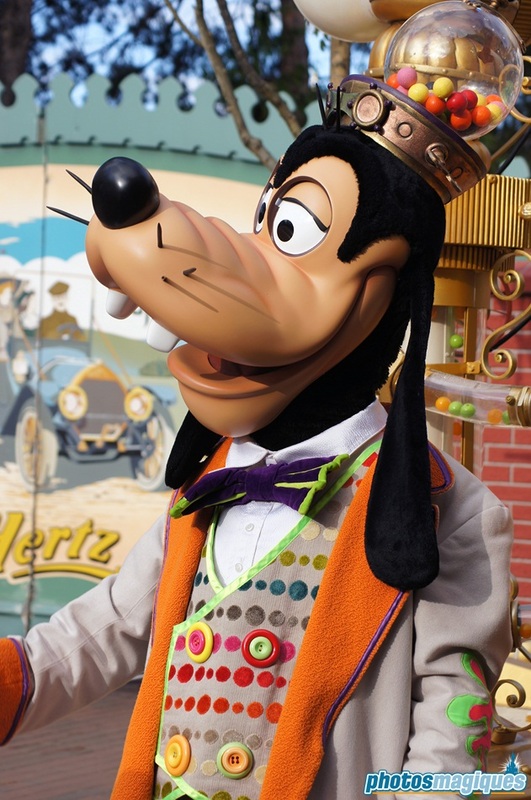 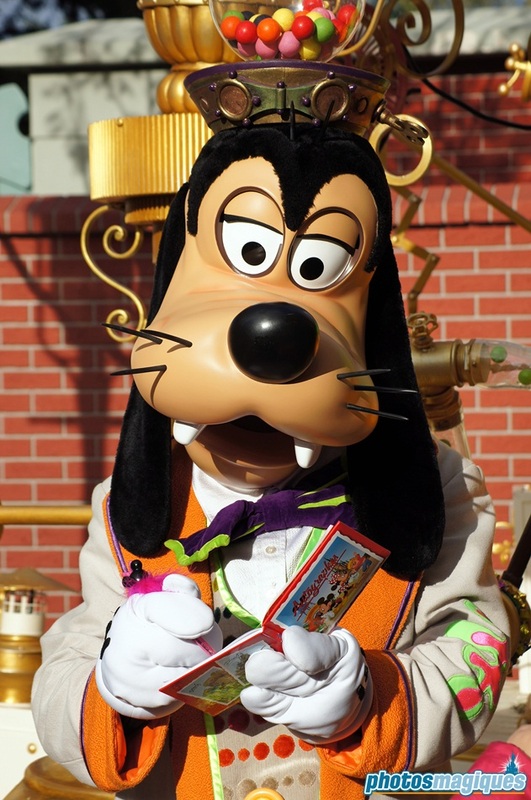 The 2012 edition of Disney’s Halloween Festival brings a brand new line of characters to Disneyland Park. 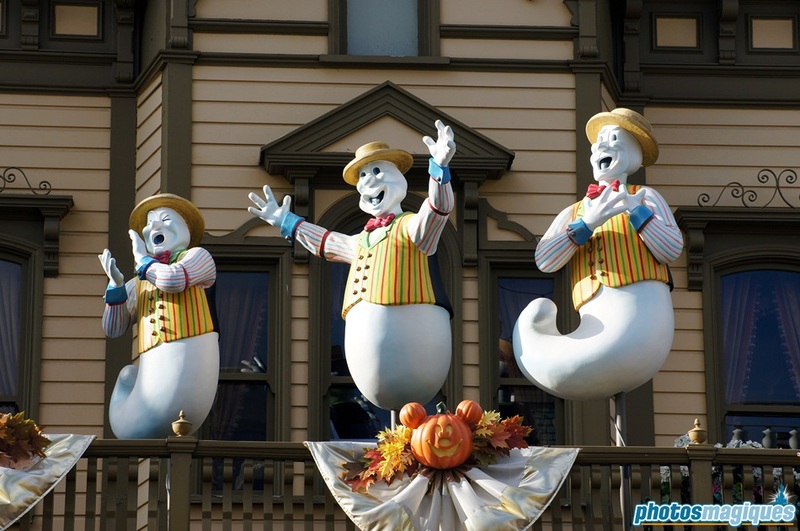 Ghosts, who have been living for the past 20 years in the Main Street houses, are coming out to have fun on Main Street, U.S.A.! 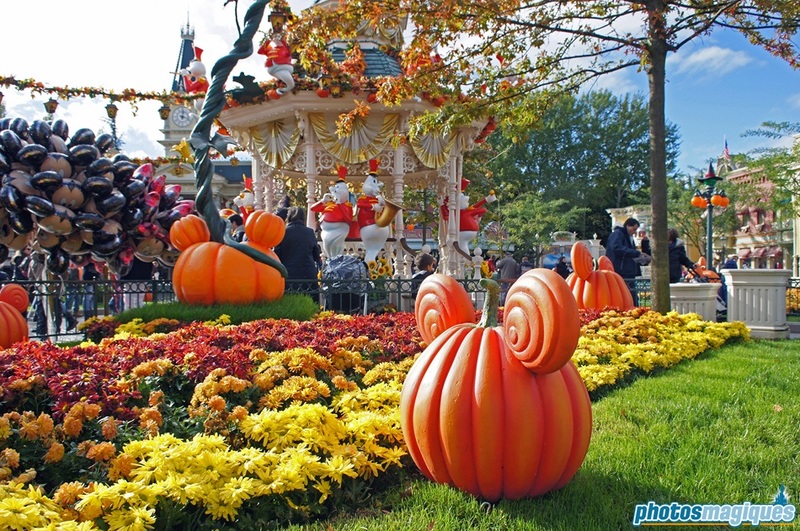 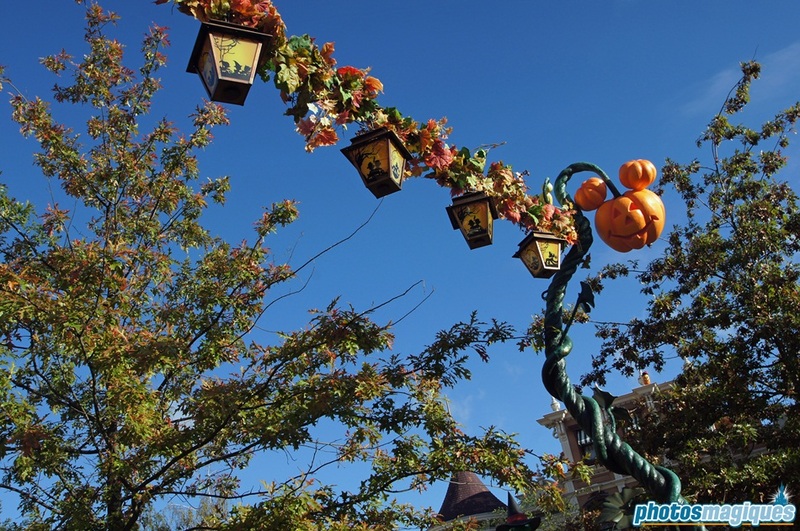 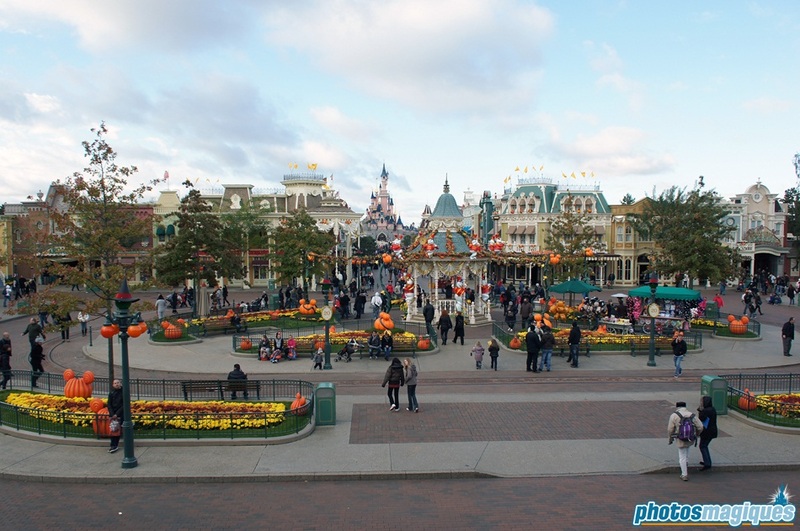 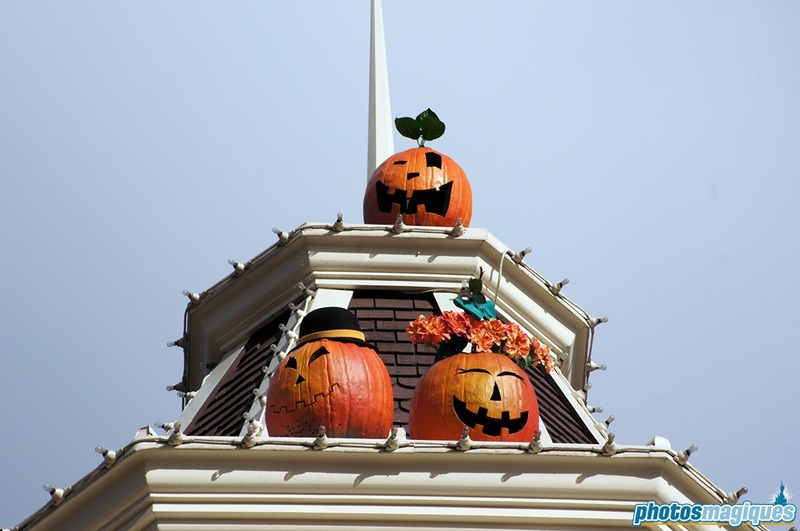 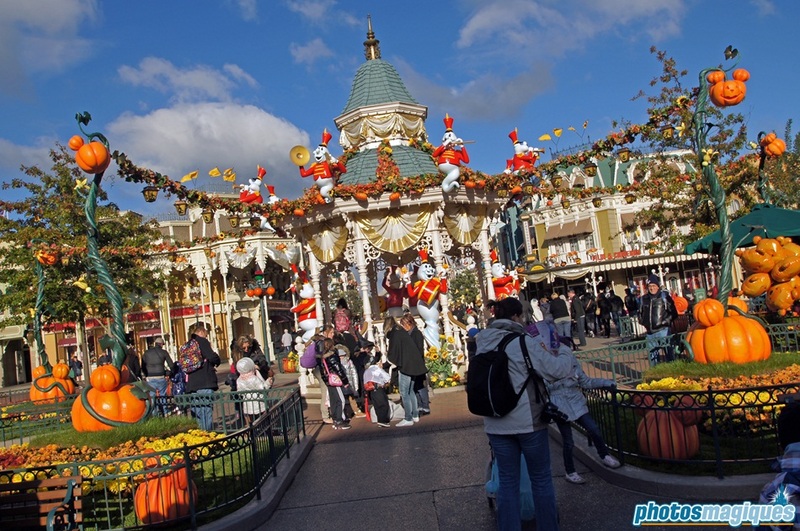 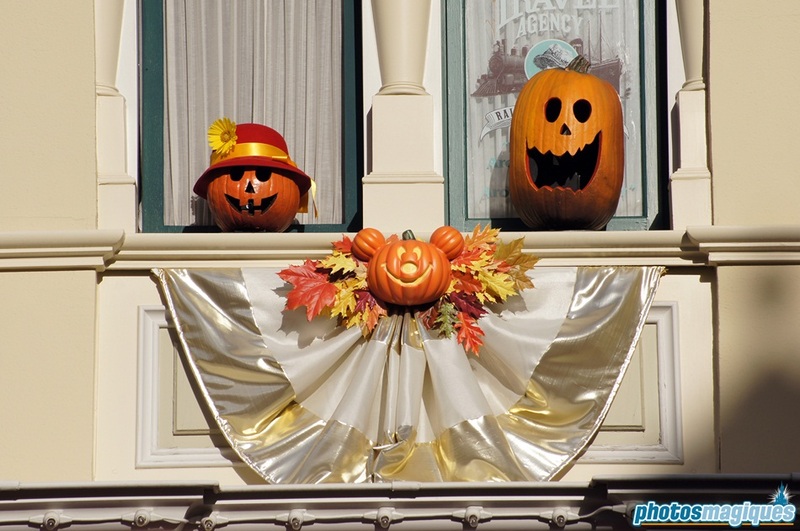 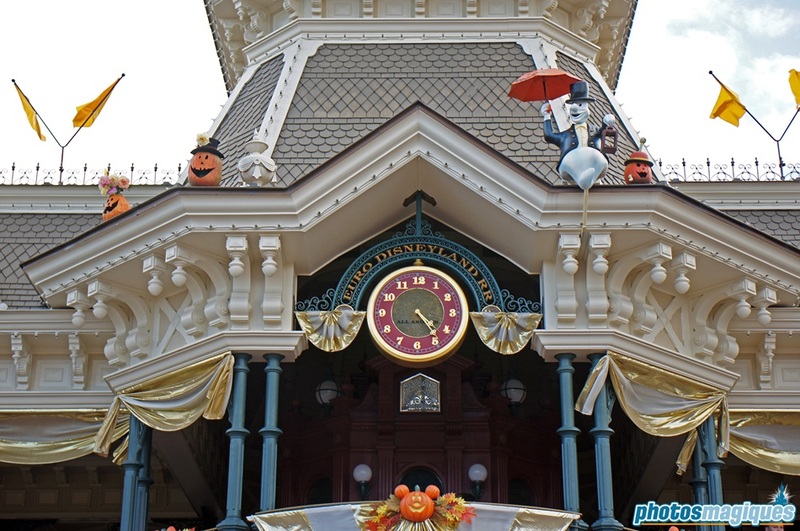 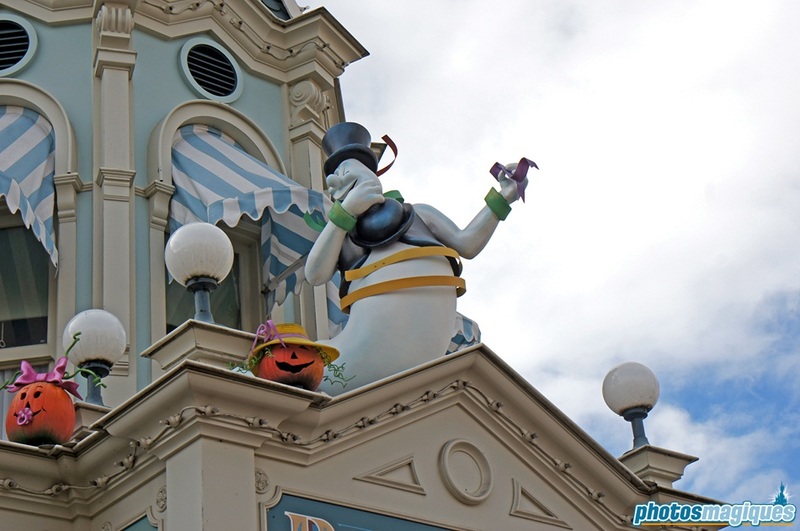 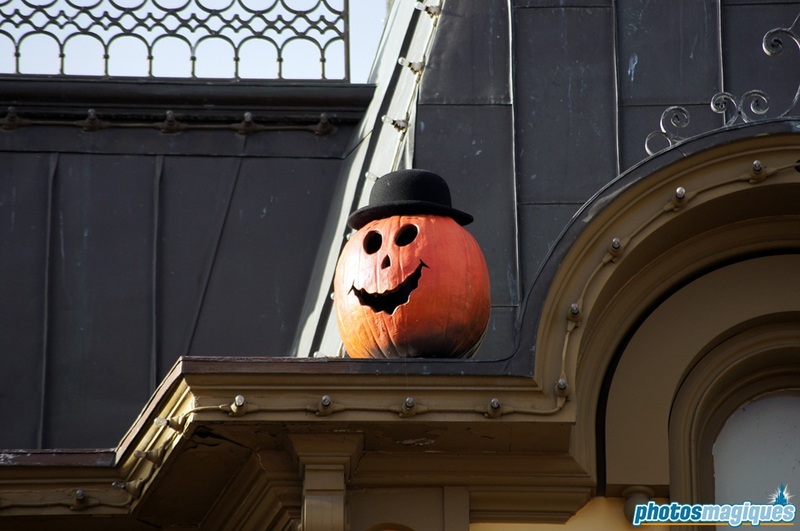 They decorated the buildings with dozens of pumpkins they found at Mickey’s Pumpkin Patch on Central Plaza. 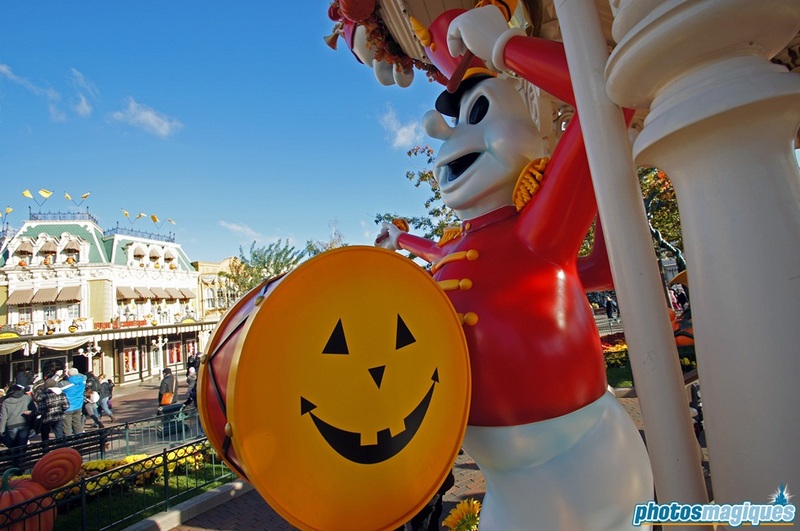 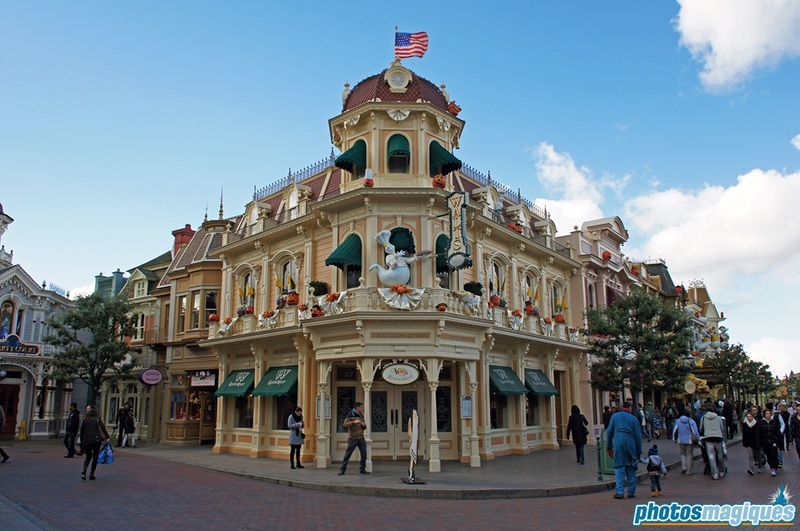 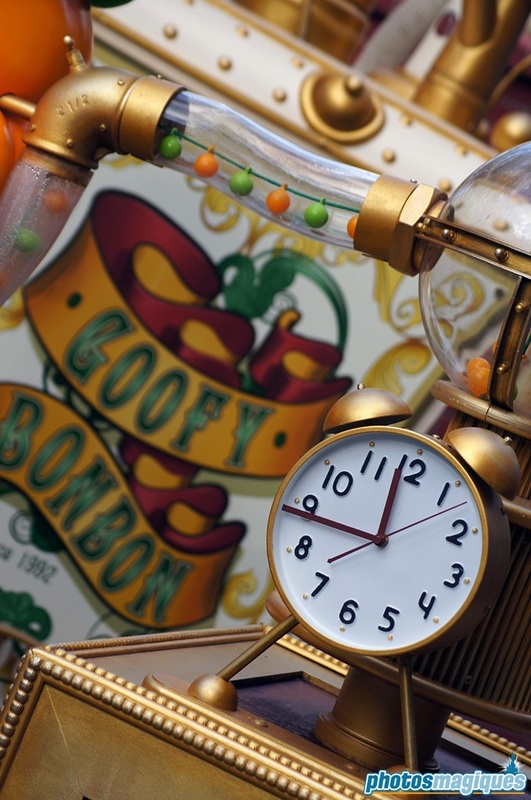 Town Square is hosting, besides ghosts, Goofy’s candy machine. 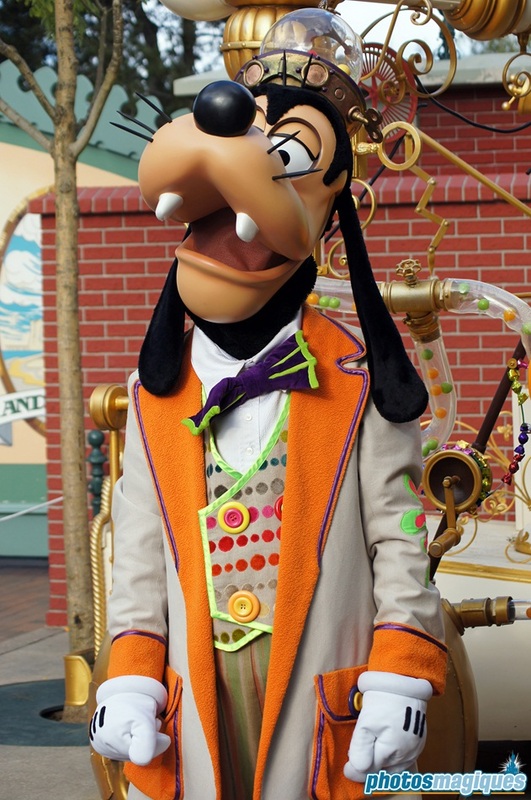 Meet him in his special costume here throughout the day. 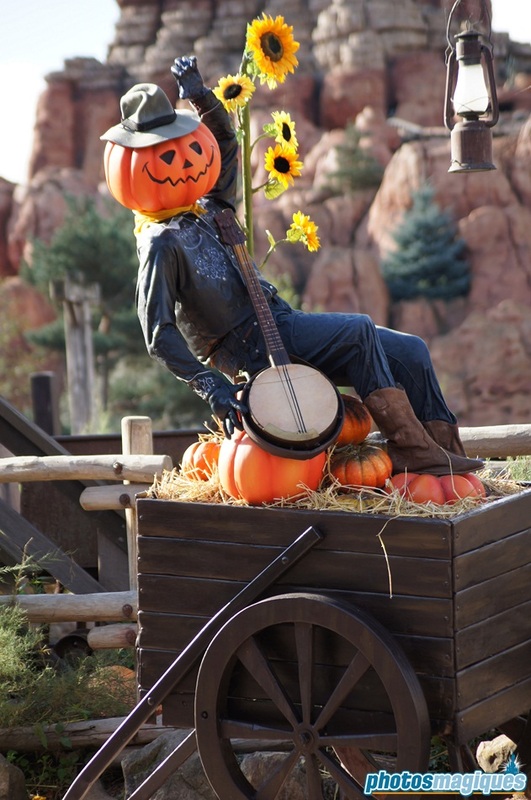 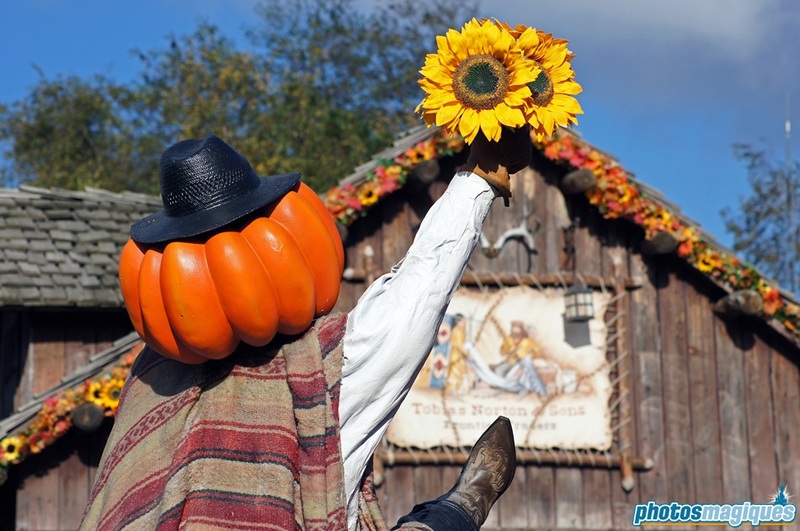 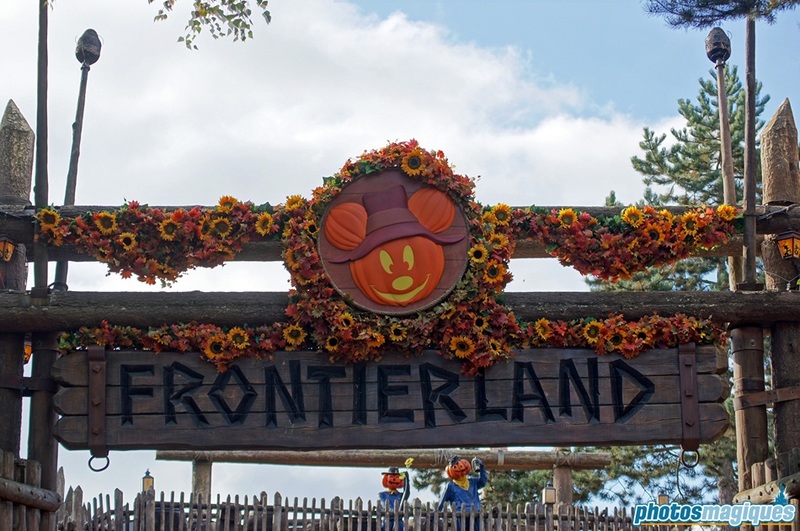 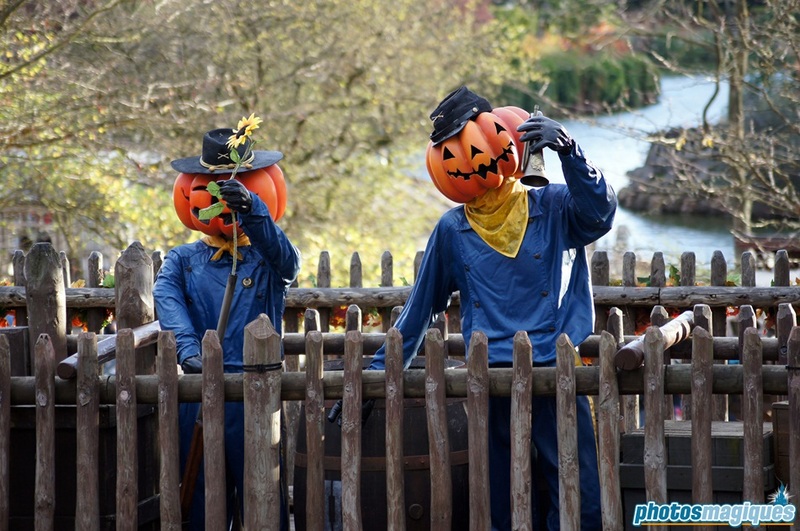 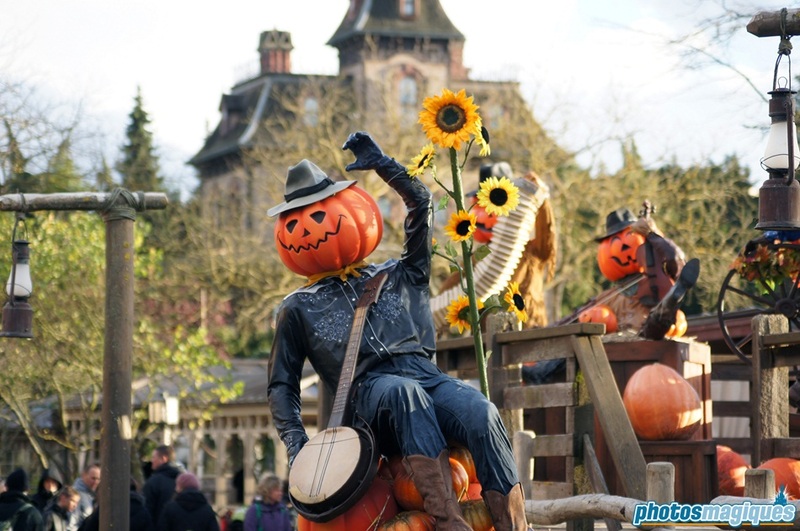 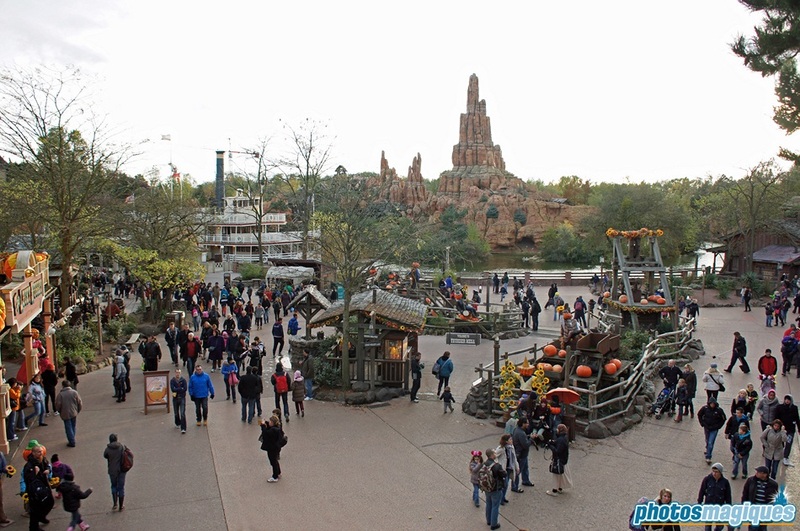 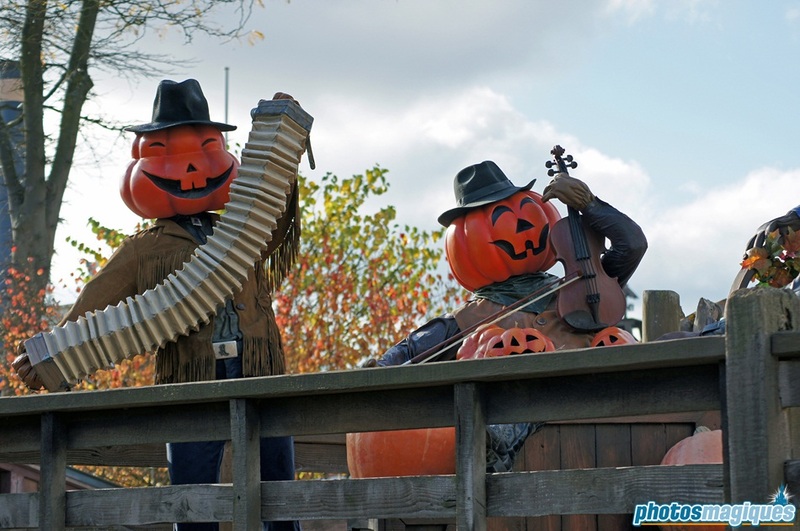 Over in Frontierland, guests are greeted by familiar faces: Pumpkin Men have taken over the Pop Corn Stage area, but this time they have left their buckets of orange paint at home. 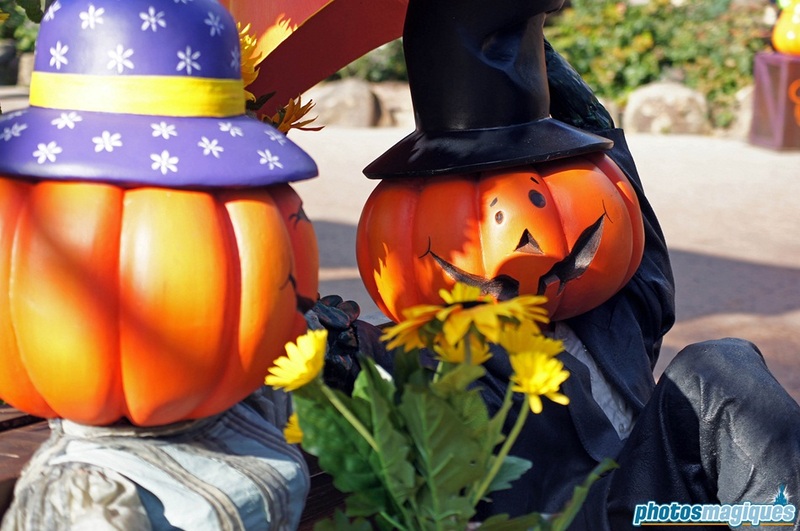 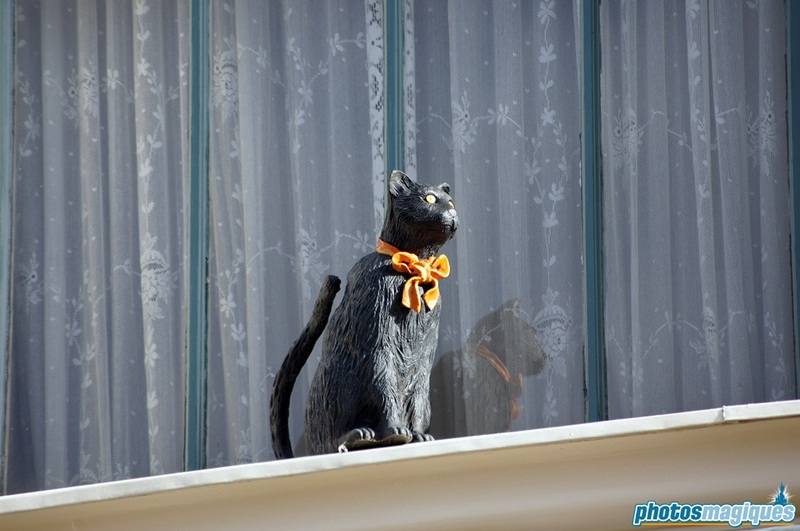 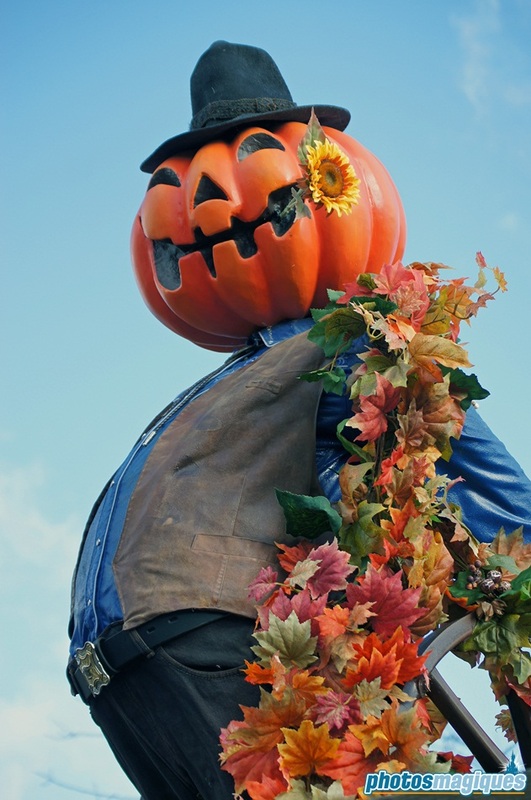 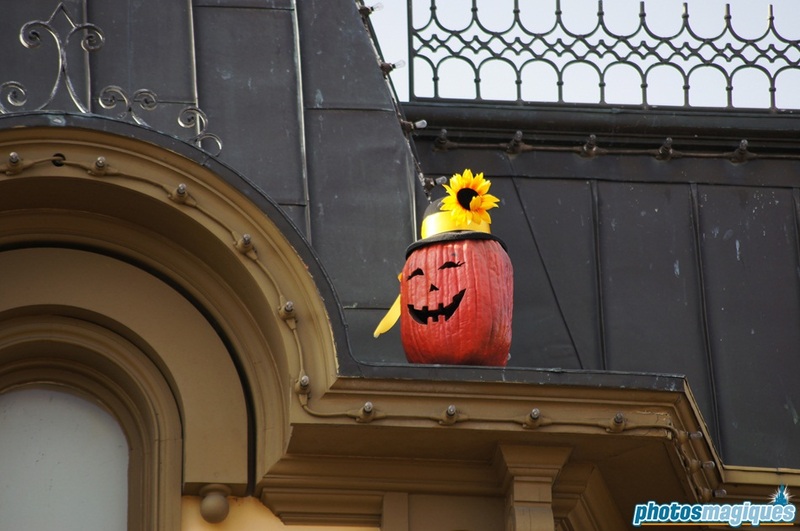 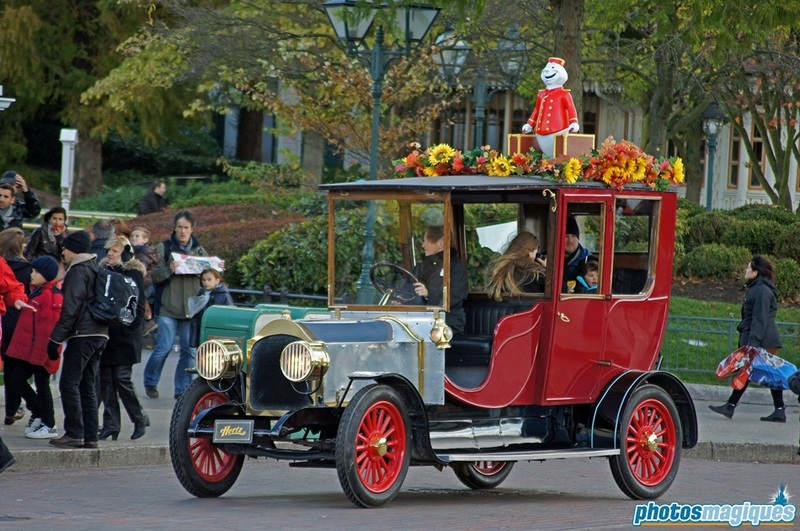 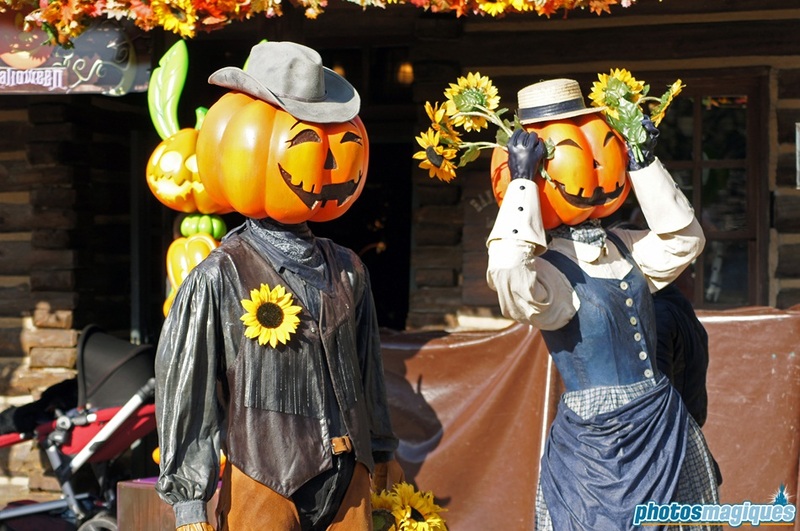 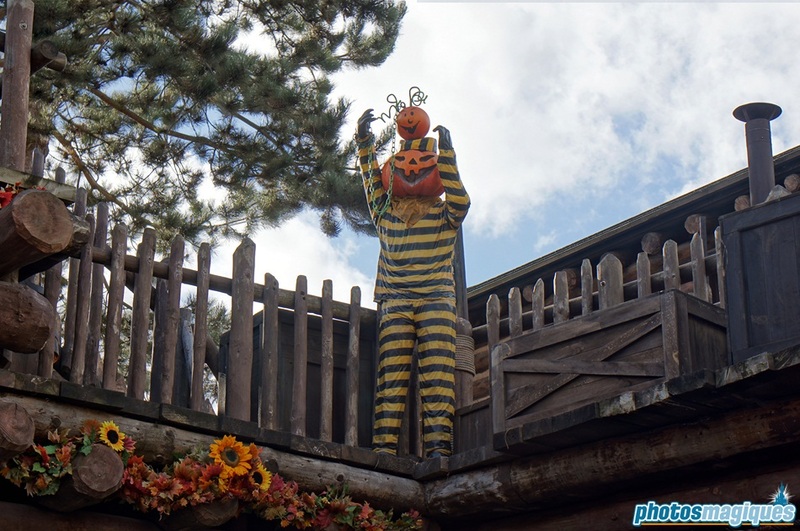 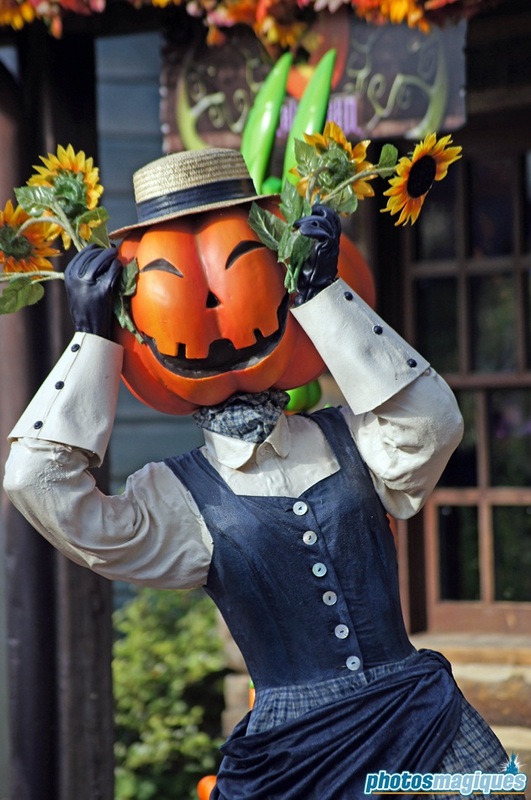 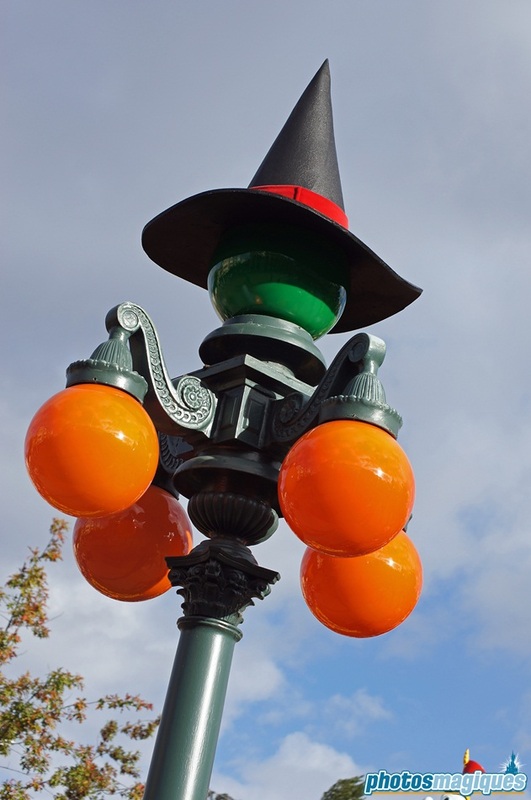 Instead, they decorate the area with sun flowers and Halloween decorations. 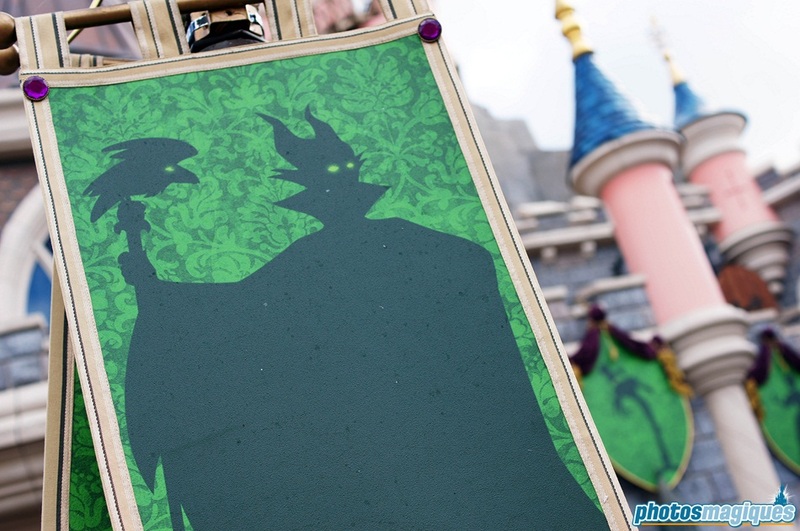 On Castle Courtyard the Disney Villains mix ‘n’ mingle for a picture or an autograph. 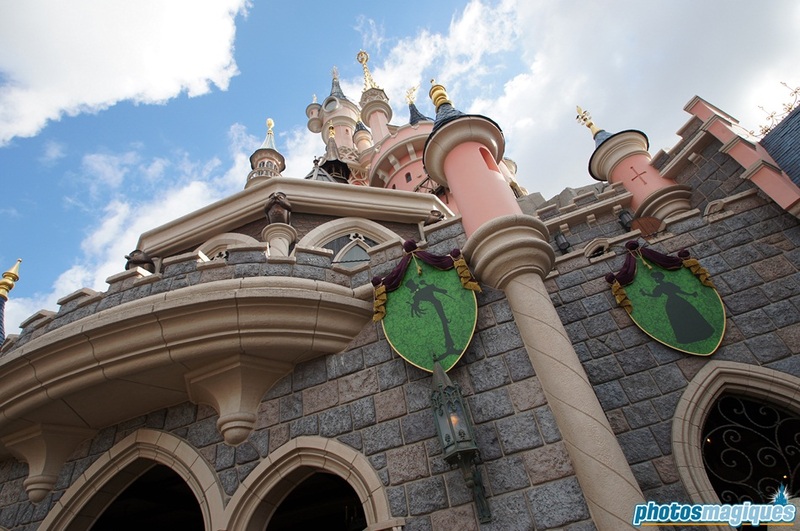 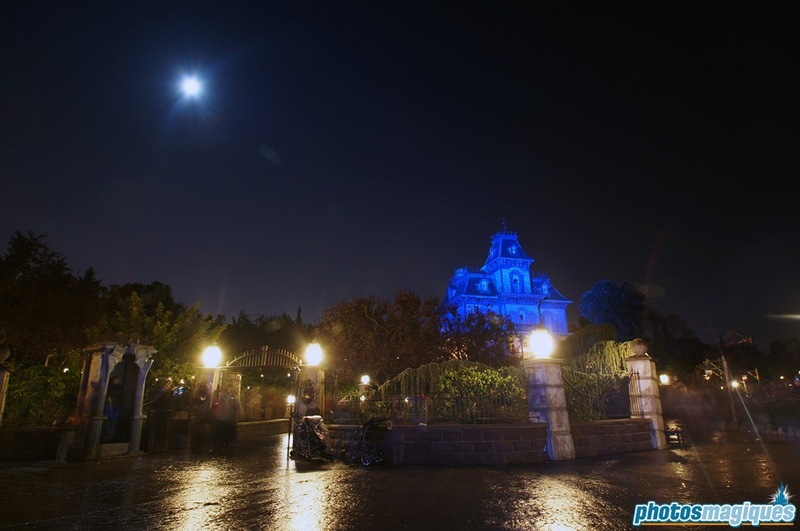 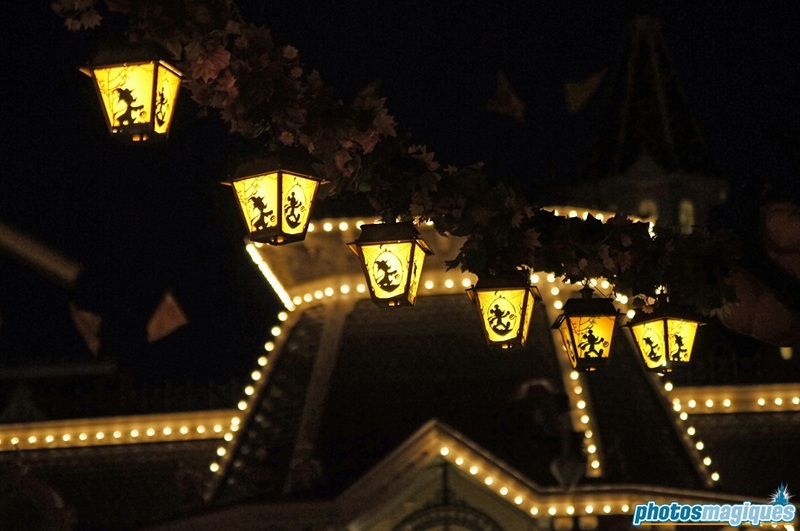 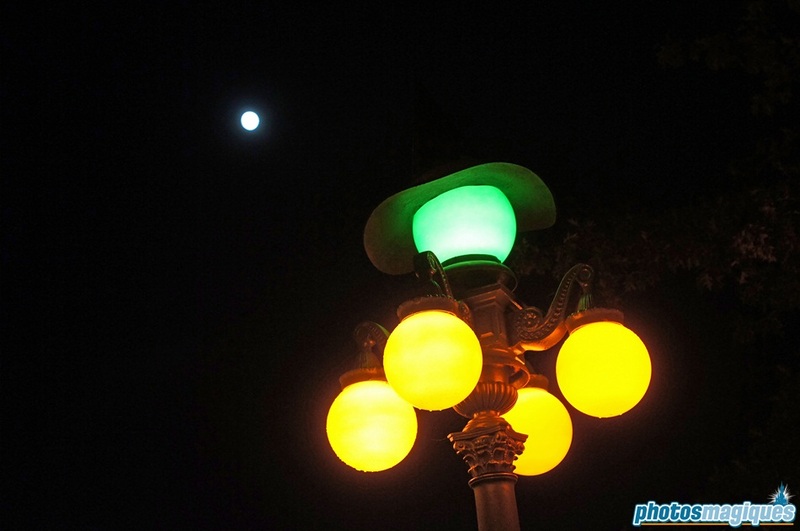 Special posters decorate the Castle walls on lamp post. 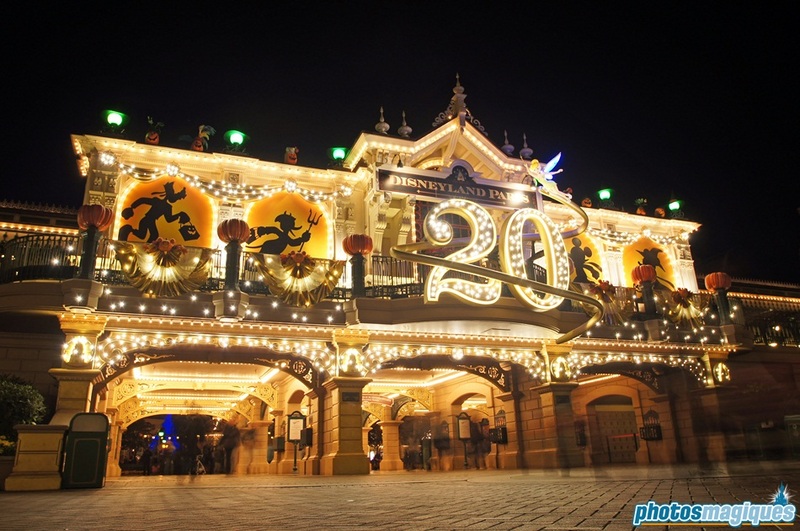 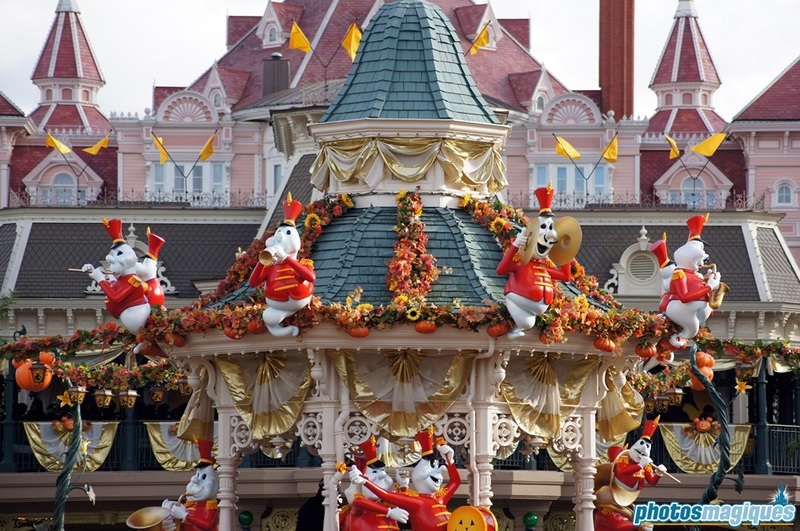 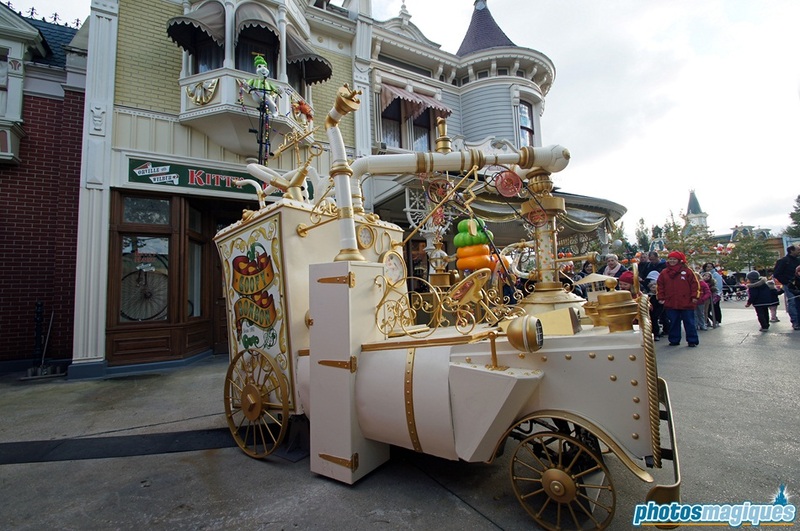 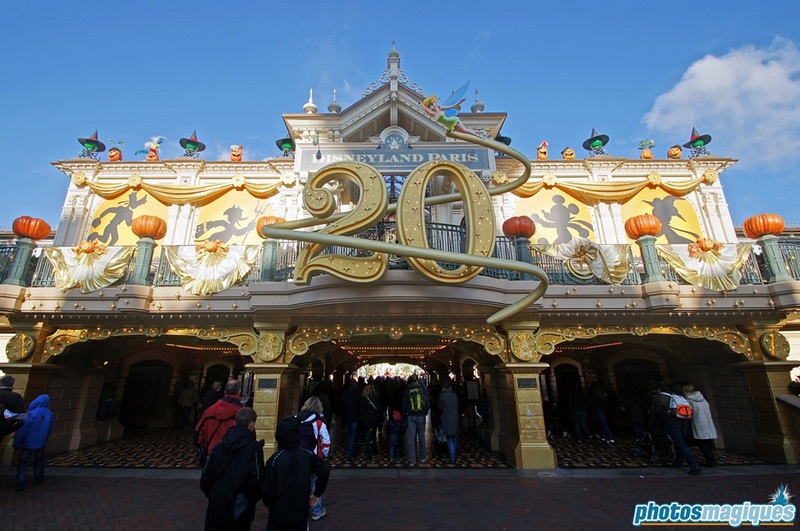 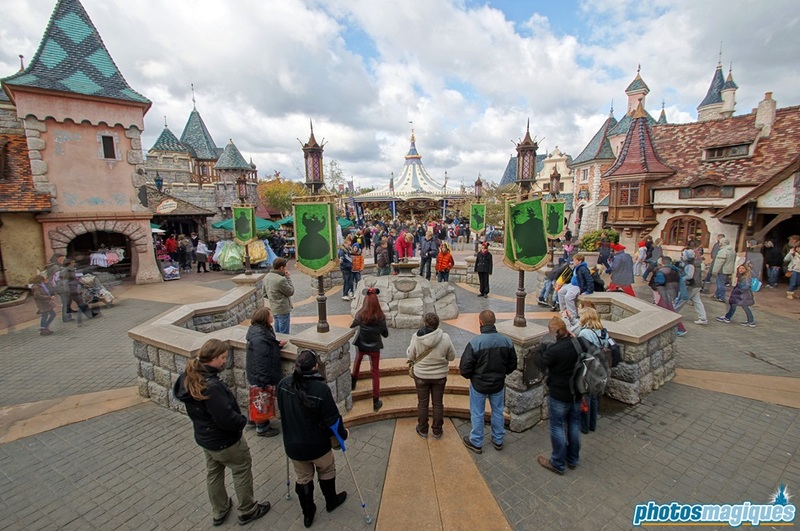 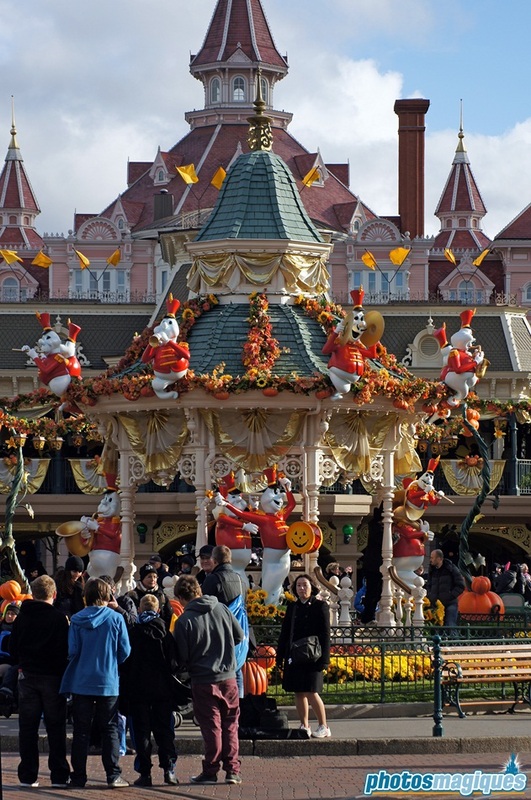 Royal Castle Stage plays last year’s Mickey’s Halloween Treat in the Street. 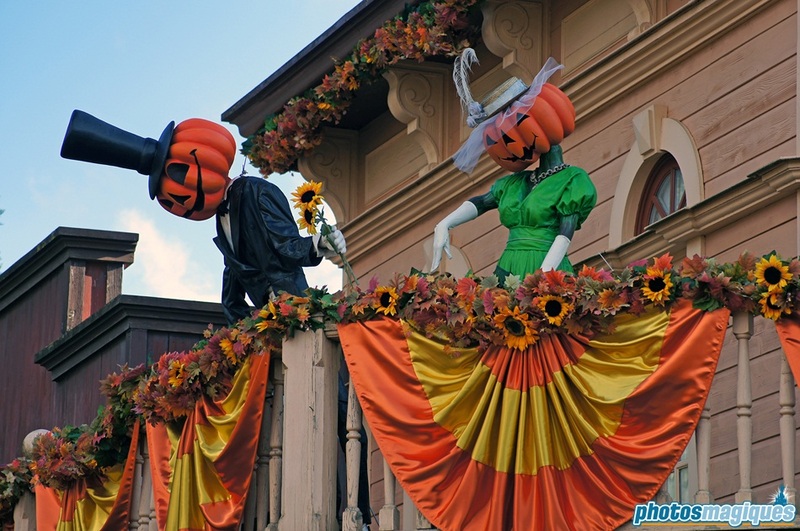 See photos from last year’s show here. 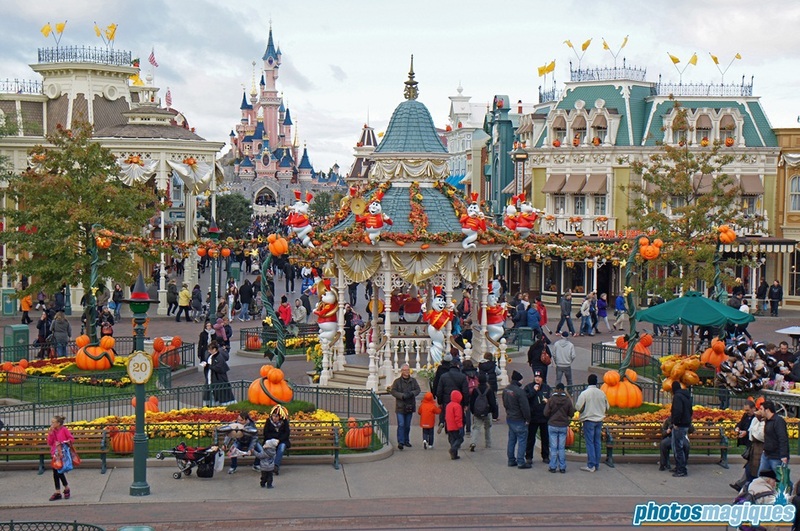 Weekends in October will get very crowded. 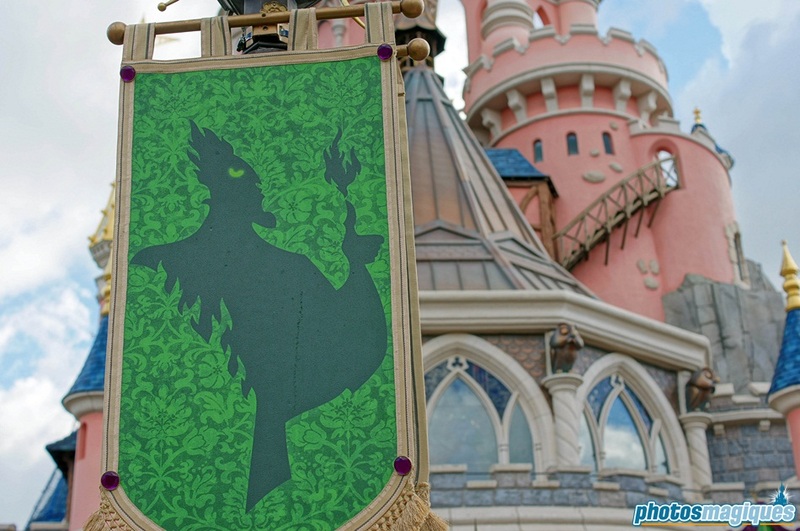 Choose to go during weekdays instead!